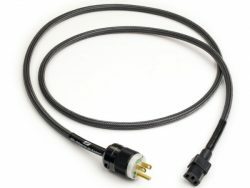 The next step in non-networked AC power cords. 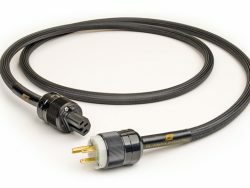 The new Oracle Z-Cord Reference power cord is constructed using the highest quality materials combined with MIT’s unique high performance cable. The ultimate in networked AC filter power cords. 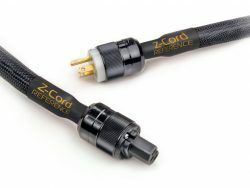 The new Oracle Z-Cord Reference FPThe Oracle Z-Cord Reference FP features the sameproprietary high performance cable as the Oracle Z-Cord Reference – but adds Filterpole Technology. 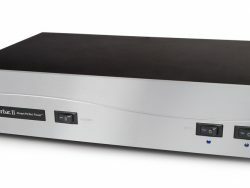 NEW for 2019 – The PMC Power Management Console. 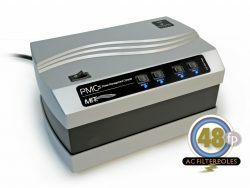 The PMC includes two switches marked as “PFC 1” and “PFC 2” used to engage proprietary circuits designed to offer additional control of the Power Factor. 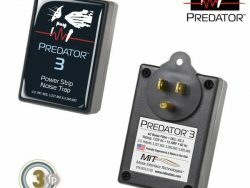 Predators devour Noise! 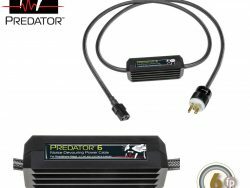 MIT’s new Predator Series Filter Cords are a perfect addition to your system to increase both audio and video performance, and bring you more enjoyment from your music and movies. 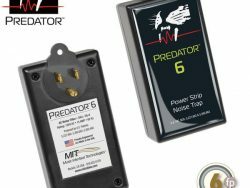 Predators devour Noise! 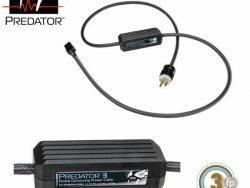 MIT’s new Predator 3 and Predator 6 AC Noise Traps are simple and affordable ways to increase both audio and video performance in your system, and bring you more enjoyment from your music and movies. 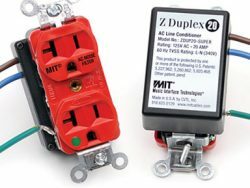 Z Duplex—the perfect way to retrofit AC line conditioning. 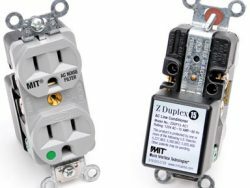 Designed to be easily installed in new or existing wall outlet receptacles, the Z Duplex is the perfect solution for that newly installed or upgraded home theater. NEW for 2019 – The Z Powerbar II uses (patented) parallel noise filtration circuits.Thirty-six parallel tuned filters operating over an Ultra Wide bandwidth, engineered to “attract and destroy” AC noise from incoming 110V, 50-60 Hz AC power sources. 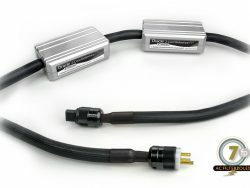 (Unlike series filters used by competitors, the Z Powerbar II will not limit current or dynamics! ).